Inter youngster Lorenzo Gavioli has put pen to paper on a new four year contract the Nerazzurri have confirmed. That PK was softer than Dalbert. Primavera drew 2-2 with Sassuolo, scored in injury time to rescue a draw. Disappointing result after going 1-0 up early on in the game. It's not exactly primavera related but i didn't know where else to post it. Stefano Vecchi got fired from Venezia. He had only one win in 7 matches. His replacement will probably be Walter Zenga. MILAN – A special Club Inter episode is on Inter TV. It is dedicated to Pasquale Carlino, a youth midfielder for the Nerazzurri, who was involved in a serious car accident in the Province of Naples last summer. This is an evening where we celebrate Pasquale’s release from hospital together with all the staff and teammates from Inter’s youth team as well as Francesco Toldo and Cristian Chivu, all of whom are there to greet the young player. Inter considers itself a family club as such is close to every person involved with the club. 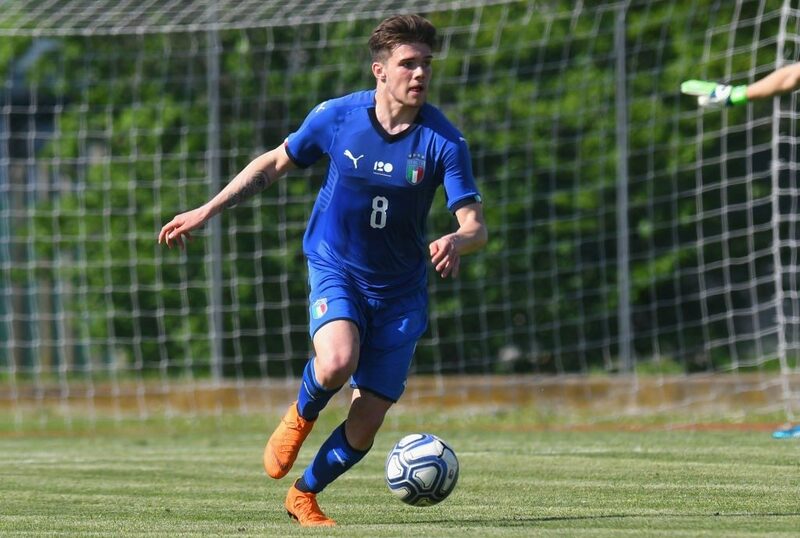 This is why Inter closely monitored what was happening with the young player in hospital and helped transfer him – after agreeing with his parents – from Nocera Inferiore to Niguarda in Milan. At the beginning the situation seemed desperate but Pasquale showed incredible strength. Now a long rehabilitation period awaits him. The episode contains exclusive interviews with Roberto Samaden, Francesco Toldo, Christian Chivu, Pasquale Carlino and all of the people involved in the evening. i really hope A. Madonna get fired, and we appoint Cambi. That would be a good experience as a coach for him, and also he will be in our club again learning the job. Baby steps but valuably for coaching career from our point of view (being in Inter). As a lot of people here predicting his great coaching future, it would have been for better to get him now. According to transfermarkt he is without job. I can't remember when our primavera struggles this much. Doesn't he? He went to Coverciano did he not? Anyway, our primavera is doing shite right now. The kids just lost 4-2 to Roma (matchday 7) and I don't have an updated table, but Roma's primavera were joint first with Atalanta on 15 points before beating us while we were 9th on 9 points before the loss. We're also rock bottom of our UEFA Youth League group (whatever that is) having drawn against Tottenham's U19 side, and lost to PSV and Barca. Armando Fucken Madonna. I knew he was a scrub based off his stupid glasses and his dipshit judge-wig haircut. I know it's a typical reaction of Interisti to always blame the coach so i wouldn't expect anything less when it comes to Primavera. But do people realise we basically dismantled our primavera squad last summer to comply with FFP? I am not saying Madonna is flawless but i don't think he's the only one to blame for the poor start this season. by the nature of the primavera, it gets pretty much dismantled every year. it's no excuse for the current performance. Lol did people run out thing to complaint from first team so they need went to primavera. Its like a common thing for young player, sometimes you had team packed with talent and other times we have none. Should sent more our player to serieb and c more like what juve did. They couldnt care less about winning primavera, now they have b team in serie c who start feel a real competition with grown up. Too bad we missed the chances since basically we have no one to fill b team. David Merola scored in the last minute of the derby today. Last edited by 100%; 10 Dec 18 at 12:47.